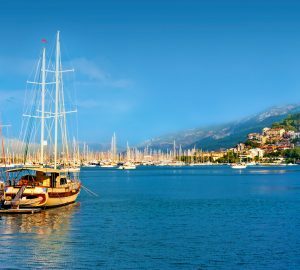 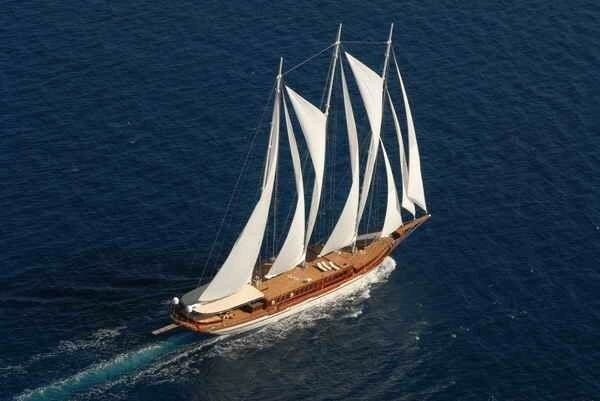 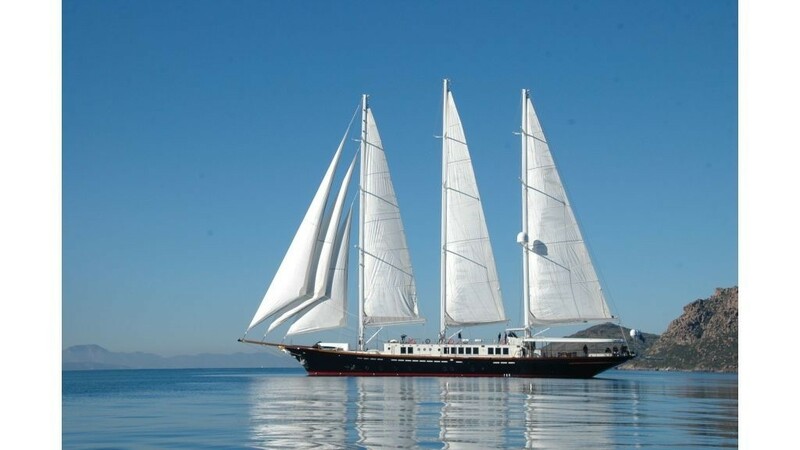 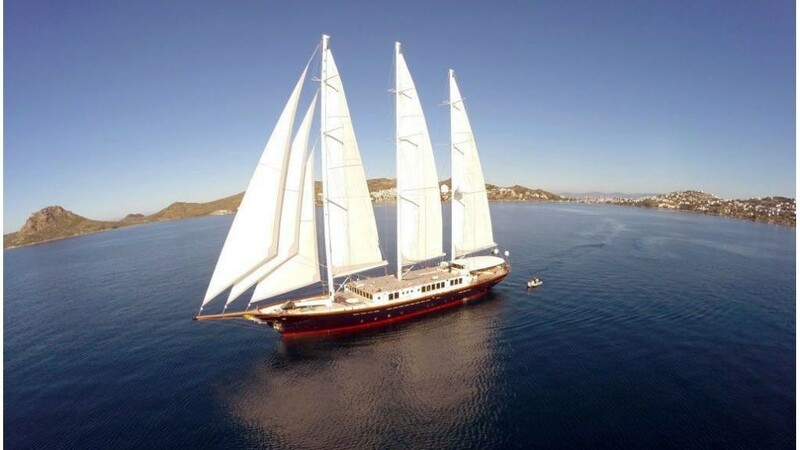 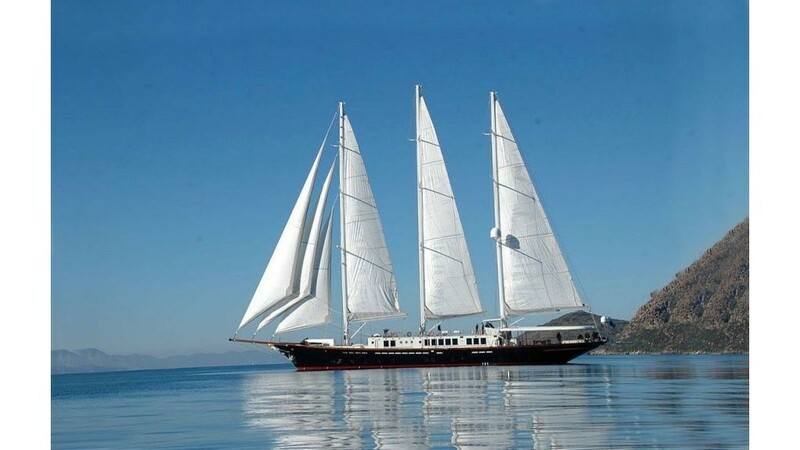 Luxury sailing yacht HAZAR YILDIZI is a steel hull gullet which was launched in 2007, the yacht measures 50 meters (164ft) can accommodate 10 guests in 5 spacious cabins and is available for charter in Turkey and Greece. 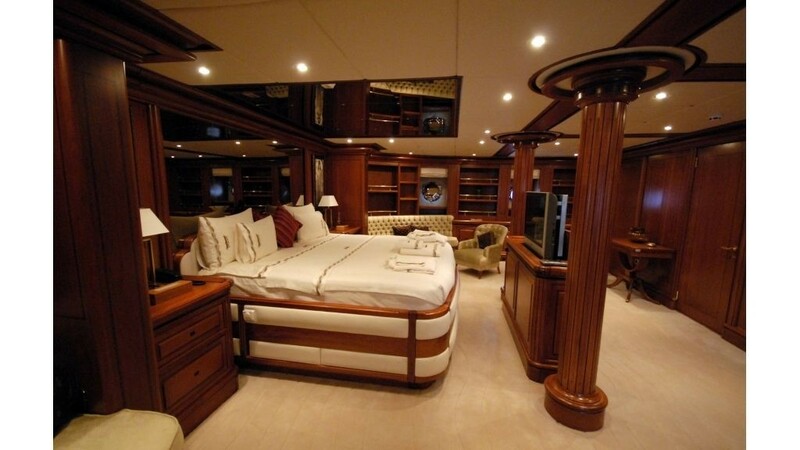 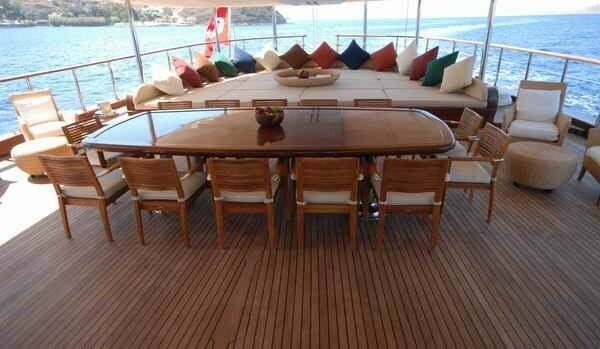 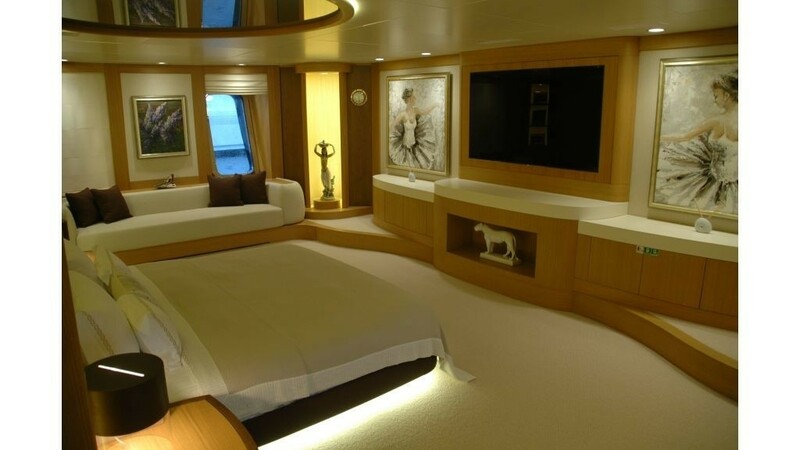 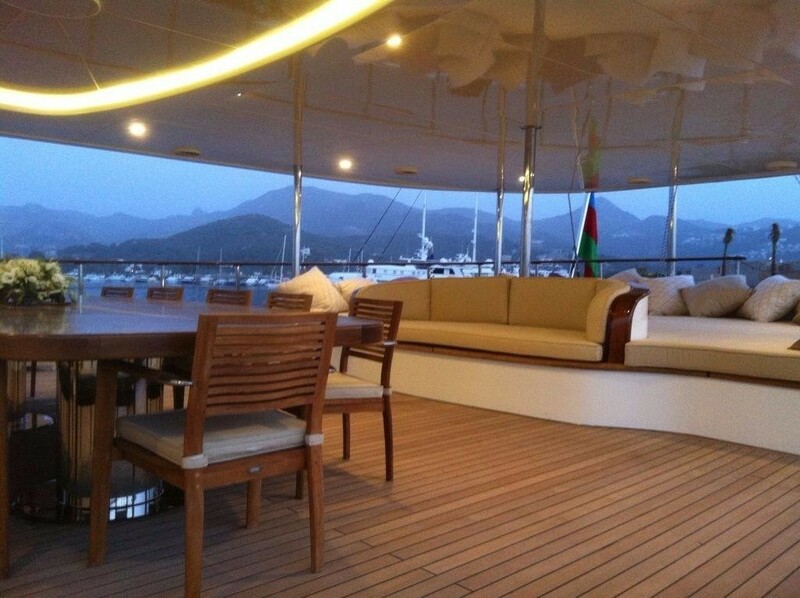 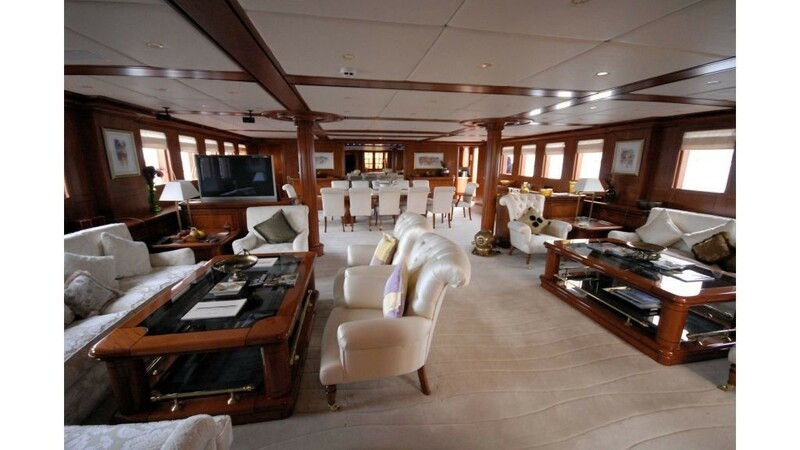 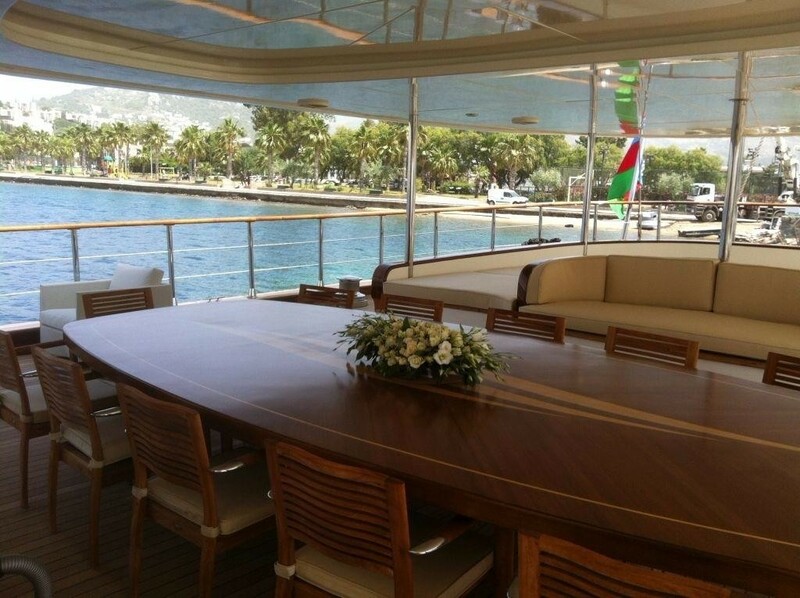 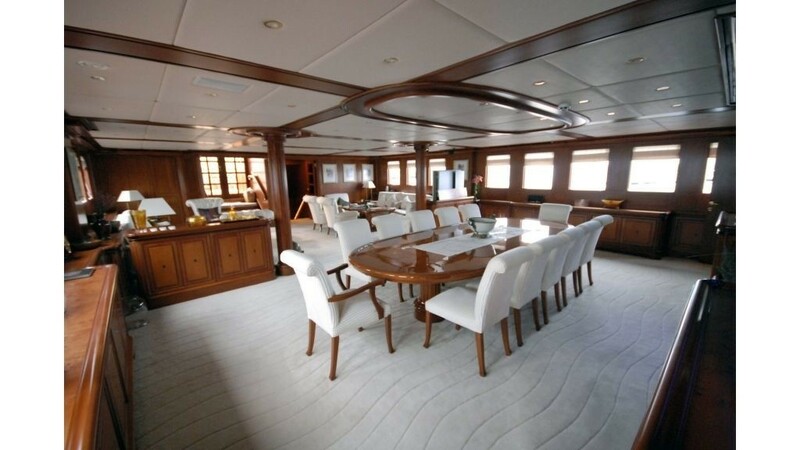 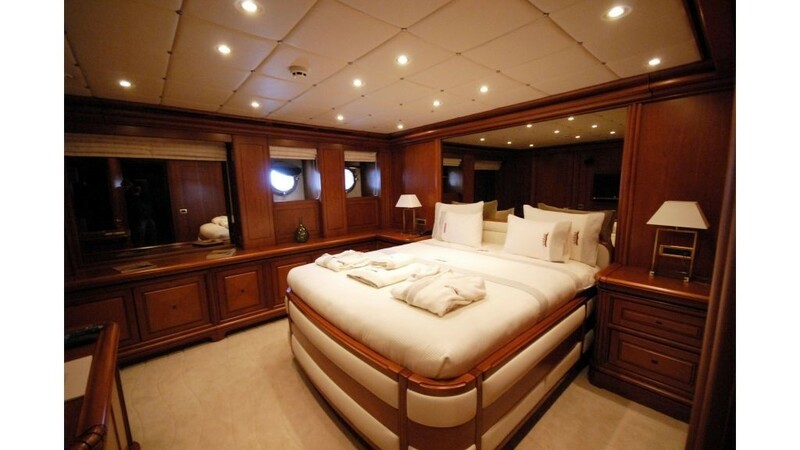 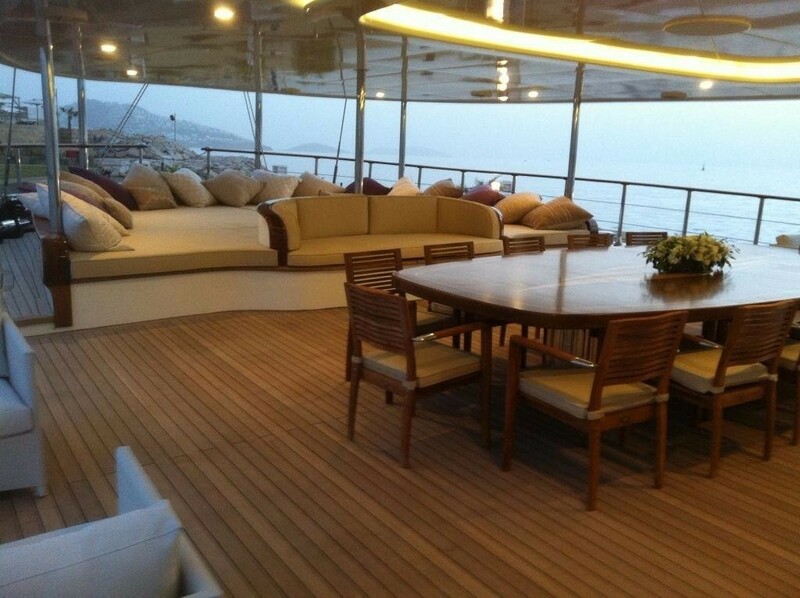 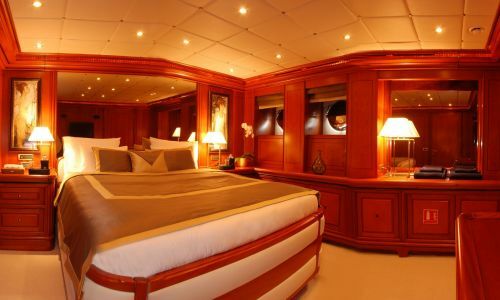 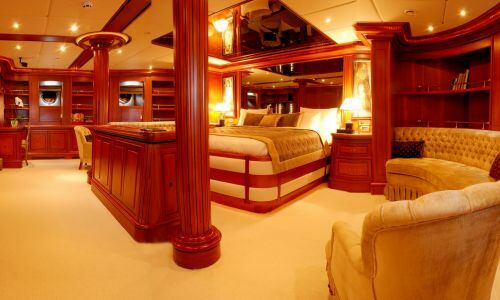 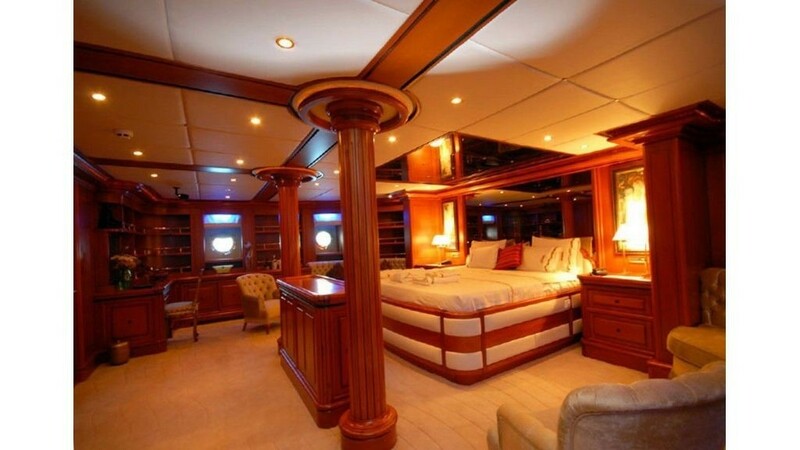 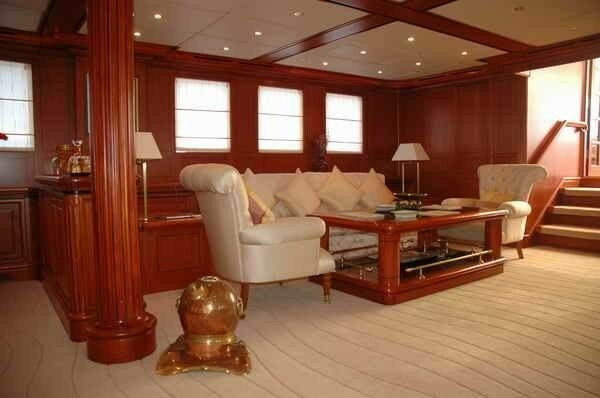 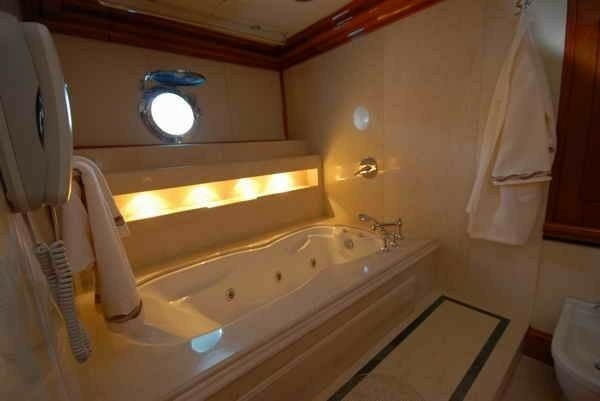 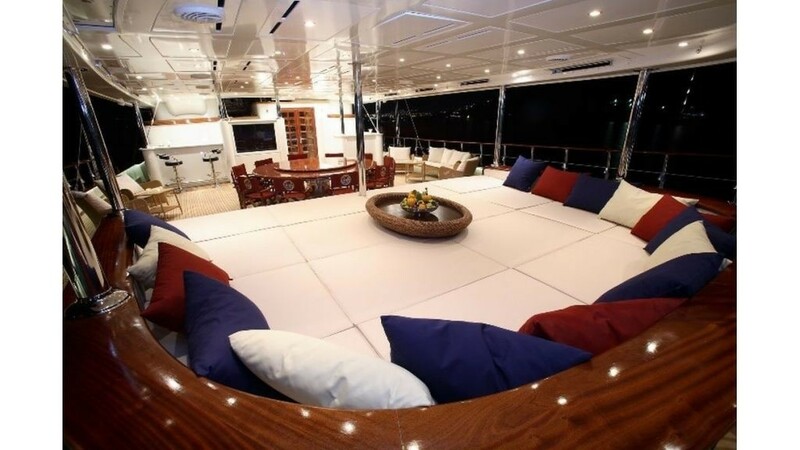 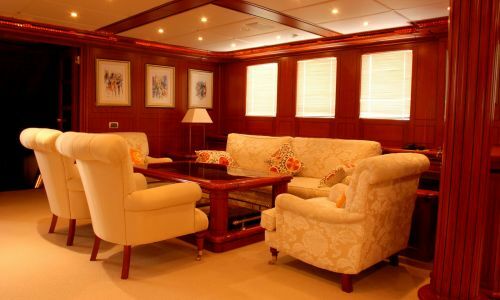 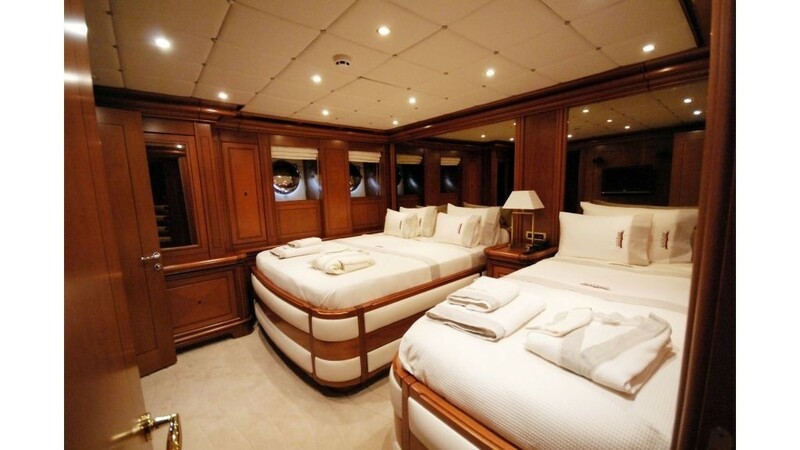 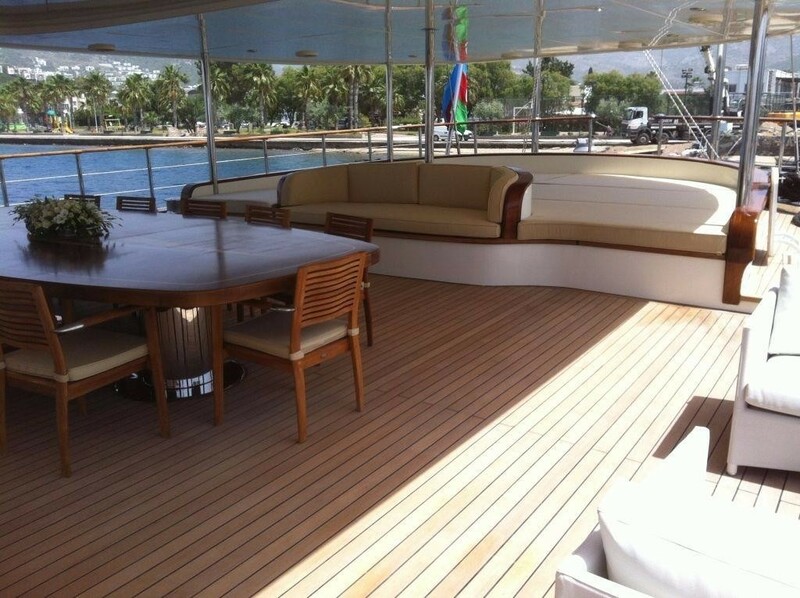 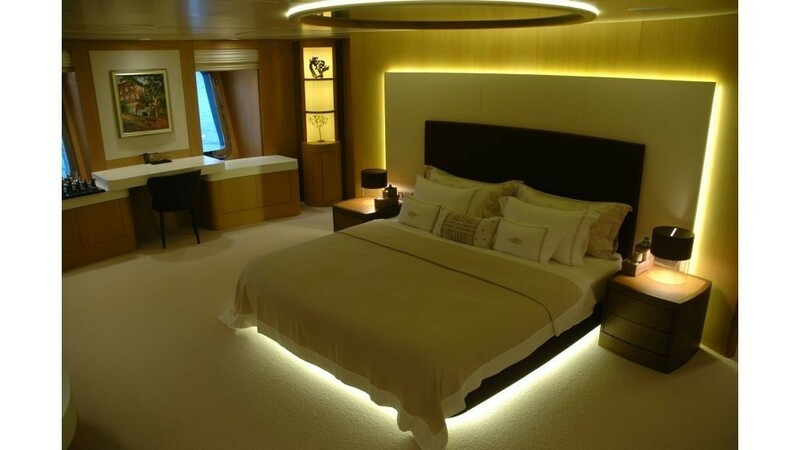 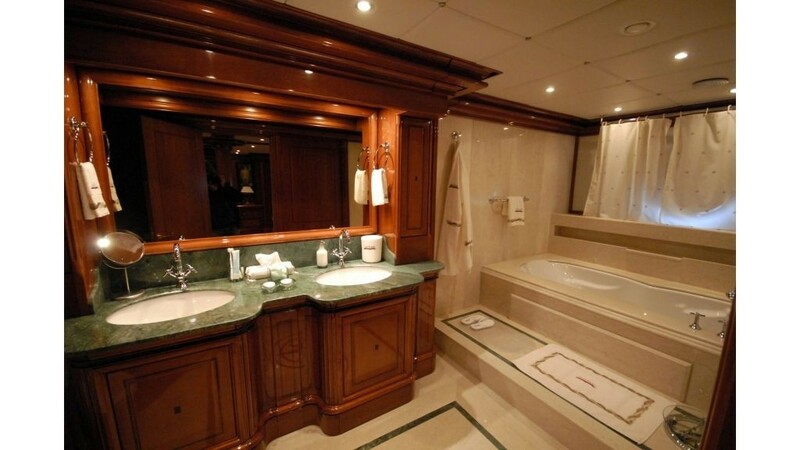 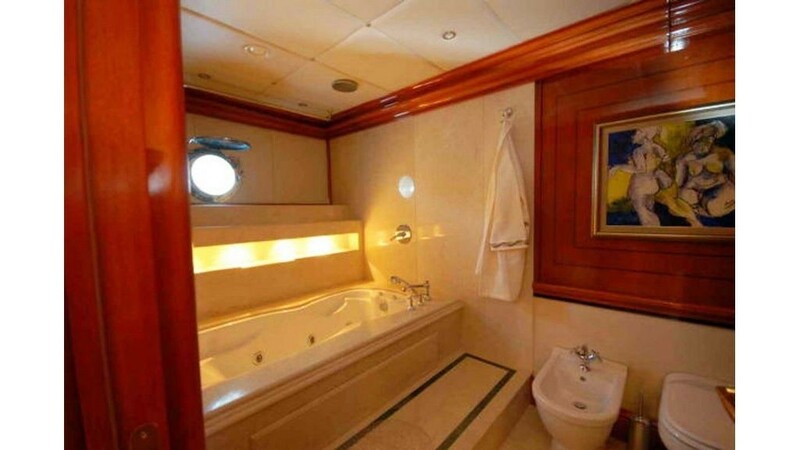 She has a modern yet classic style interior, the salon is large with a formal dining space forward complete with an oval table for 10, further aft there is a mirror image lounge on both port and starboard with plush seating and cocktail tables. 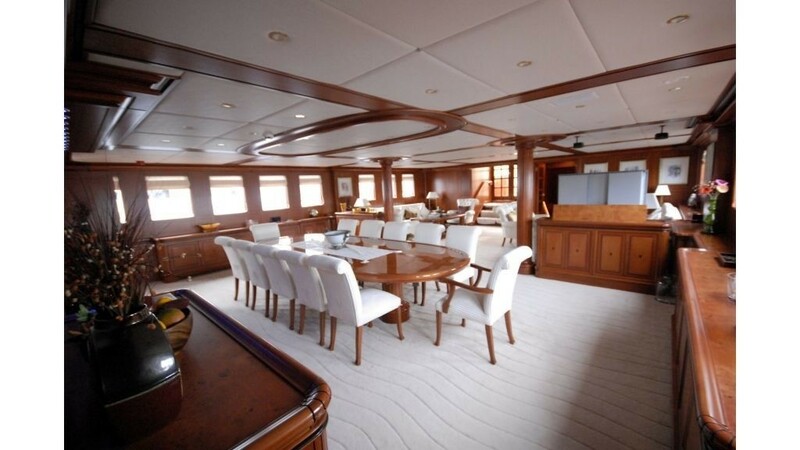 The entire area is wrapped in high gloss cherry woods with light toned carpeting and a white headlining with wood trim. 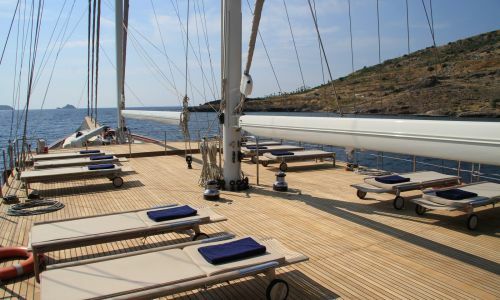 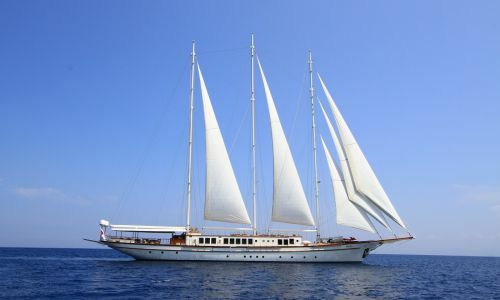 Gulet HAZAR YILDIZI offers ample deck space; the aft deck is shaded with an expansive lounge bed on the after most area and an alfresco dining option with additional cocktail seating, while on the large foredeck are chaise lounges. 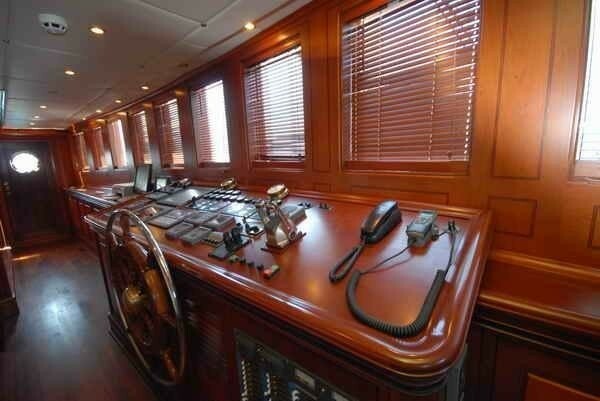 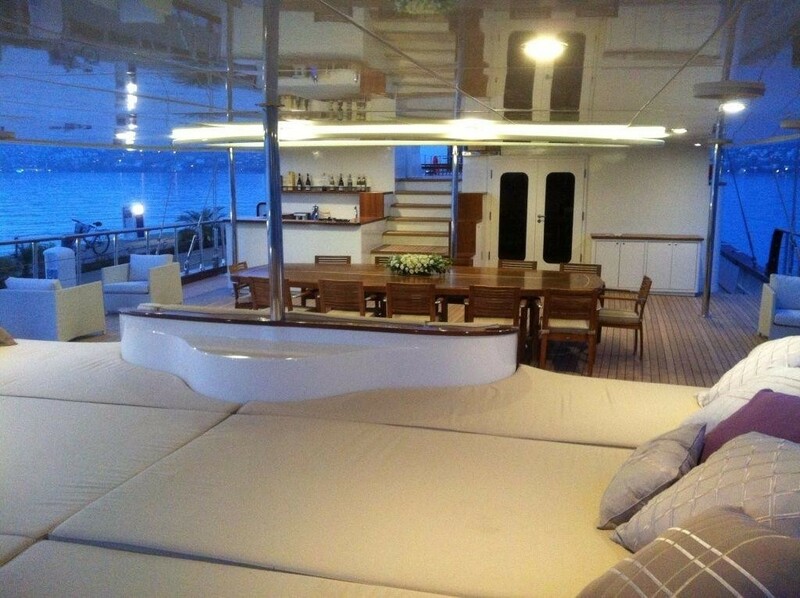 For the water sports enthusiasts S/Y HAZAR YILDIZI offers a hydraulic dive platform for easy water access. 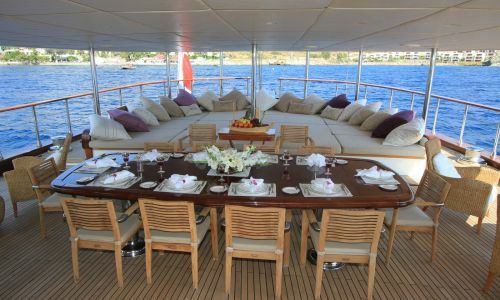 Charter yacht HAZAR YILDIZI (ex PALMALIFE, GALILEO) offers guests 5.80m Tender with 115HP engine, 4.8m Tender 40HP engine, SKI-DOO Jet-ski, 26” LG LCD TV in VIP & triple guest cabins, 32” Plasma TV in the master cabin, 42” Plasma TV in the salon & aft deck, BOSE home theatre system in all cabins the salon and aft deck / sundeck, DVD & CD players, Diving room with diving equipment & hydraulic platform. 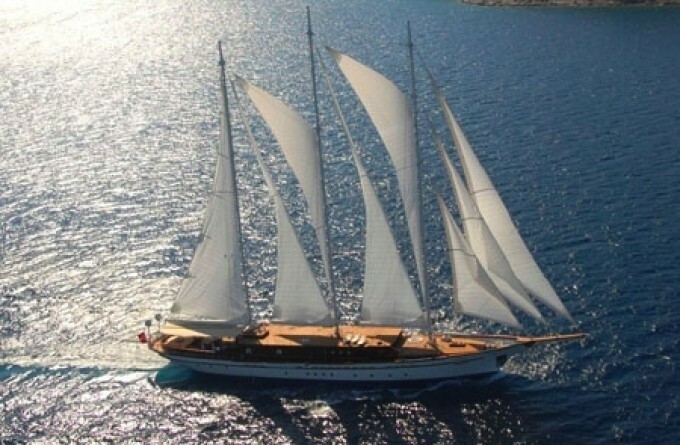 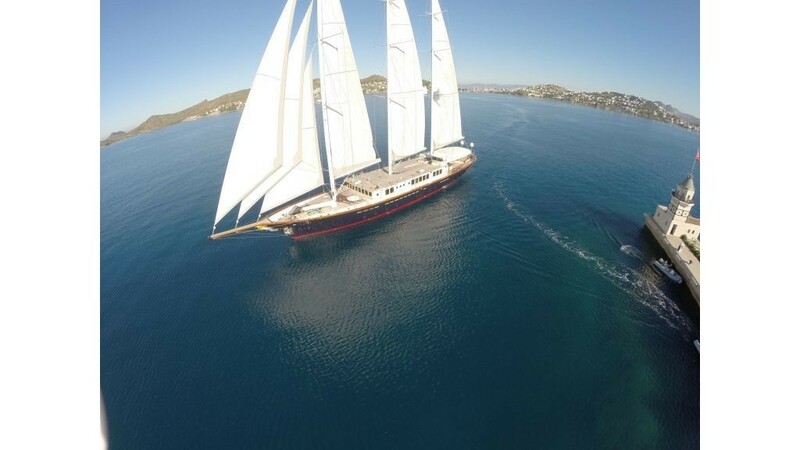 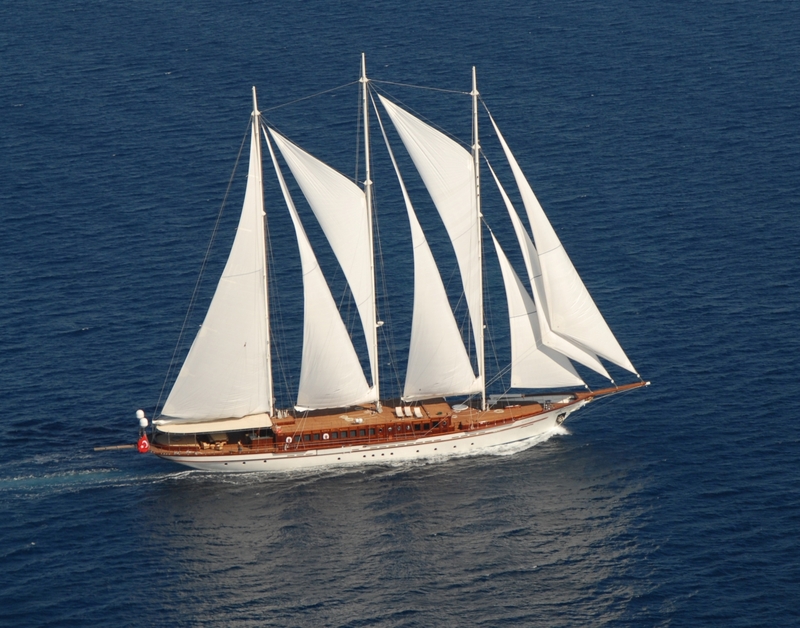 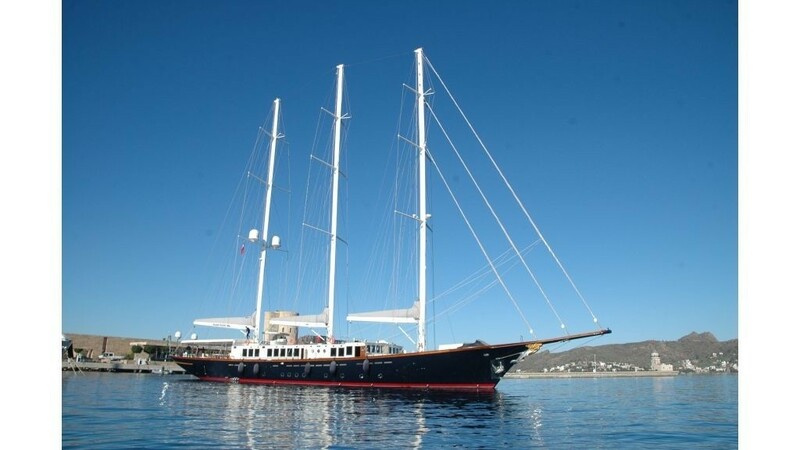 Luxury gullet HAZAR YILDIZI has an impressive beam of 10 meters (32ft), cruises at speeds up to 11 knots and offers a crew of 7. 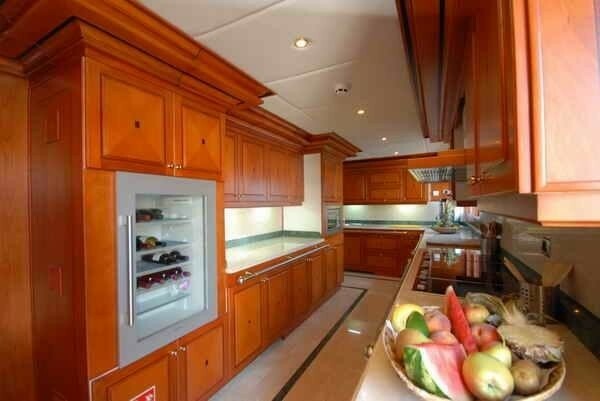 HAZAR YILDIZI provides luxurious accommodation for 10 guests in 5 tastefully decorated cabins. 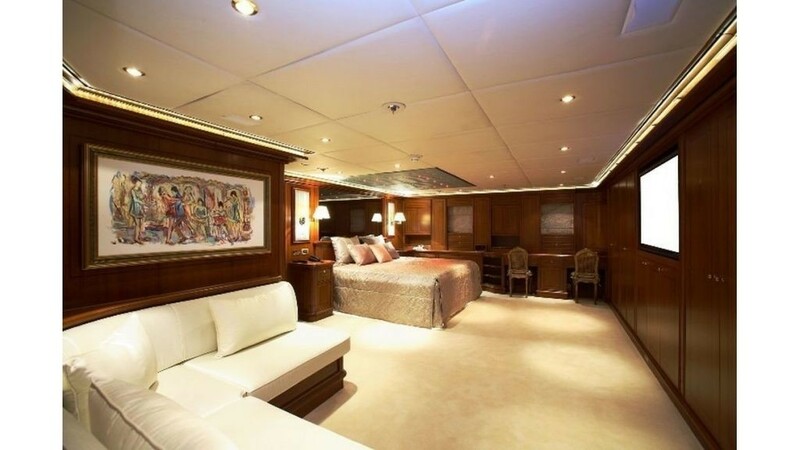 There are 2 master style cabins with king size beds, large settees and en-suite facilities, an additional 2 cabins have double beds while the final cabin has 2 twin beds, all cabins are en-suite and include TV/DVD home style theatre systems.